Who can get all the advantages of color at an affordable price? YOU! Research has proven that using color in business documents can measurably improve productivity, communications, sales and much more. It increases readership by 41%, retention by 18%, and the tendency to act by 26% (study by McGraw Hill Pub.). 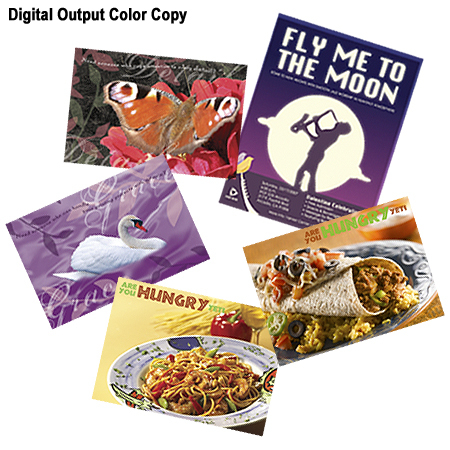 Whether it is regular sheet, card-stock, or even label, we can add colors to a wide variety of materials that you desire. Come and talk to us how you can get amazing results from your documents! We can output direct from your digital files. Better yet, upload your file through our website from the convenience of your office or home and we'll do the rest!